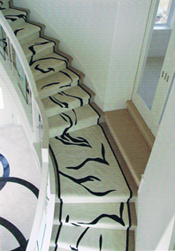 Designing beautiful custom rugs and fine carpet for over 30 years! Visit Us on Face Book! Working closely with our clients, Rubin's Custom Rugs & Fine Carpet assists in developing beautiful one-of-a-kind rugs and carpeting. 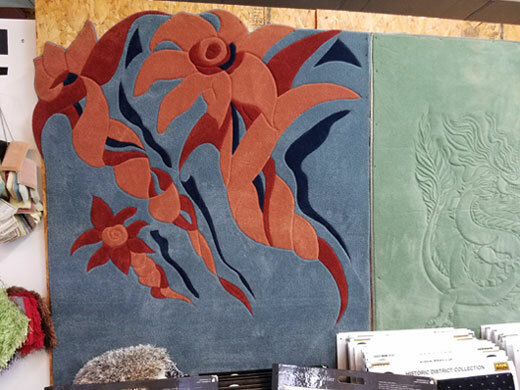 We view the site, take measurements, discuss color, styles, inspiration pieces, and how the rug or carpeting will tie into the home, office or corporate lobby area. We talk about the pile, material, binding, backing, and carpet manufacturers best for your specific needs. Years of art and design experience allow us to create pre-construction drawings to present to our clients. 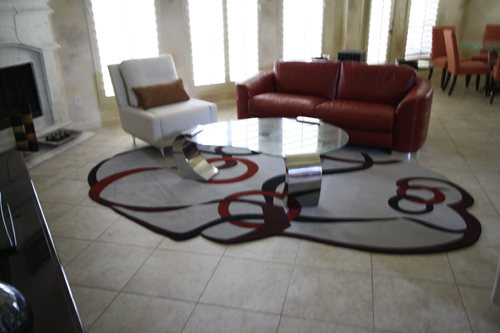 Below is a carpet project from rendering to completion for a Houston area home. Upon client approval, our master craftsmen take it to our workroom and begin the one of a kind rug or carpet creation. Call today to speak with a design consultant!